This article was originally published March 1st of 2013, we&apos;ve republished it based on its relevance for the usefulness of radar in both collision avoidance as well as radar basics. The Navigational Rules of the Road that govern collision avoidance at sea require us to use Radar is we have it on board and it is working. Radar in many ways is our best way to determine if a risk of collision exists. Learn more about radar and the Navigational Rules in our Boaters University course, Seamanship: Navigational Rules. Sign up today and use the coupon code: PMMBLOG, for 20% off! 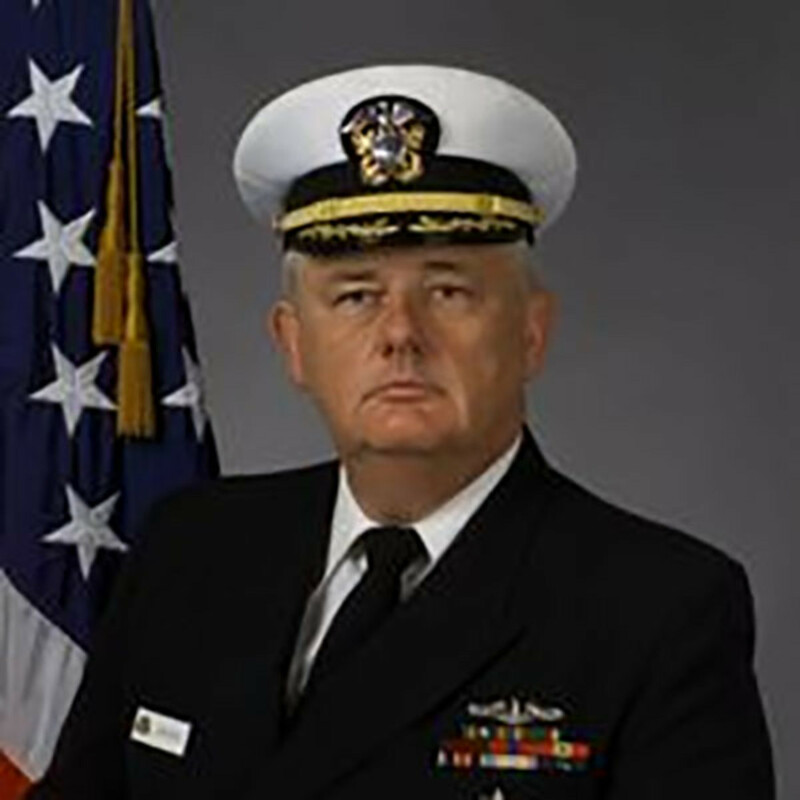 I recently attended a seminar on radar that was presented by Terry Sparks, a full-time cruiser and retired U.S. navy commander. Terry has a bachelor’s degree in electrical engineering (yes, Sparks is his real last name). The seminar was condensed but full of good information. I learned the value of the three-minute rule and how to quickly determine the Closest Point of Approach (CPA). I was not familiar with either of these concepts, but I used them for the next three months while cruising in Baja and found them to be effective and simple to use. 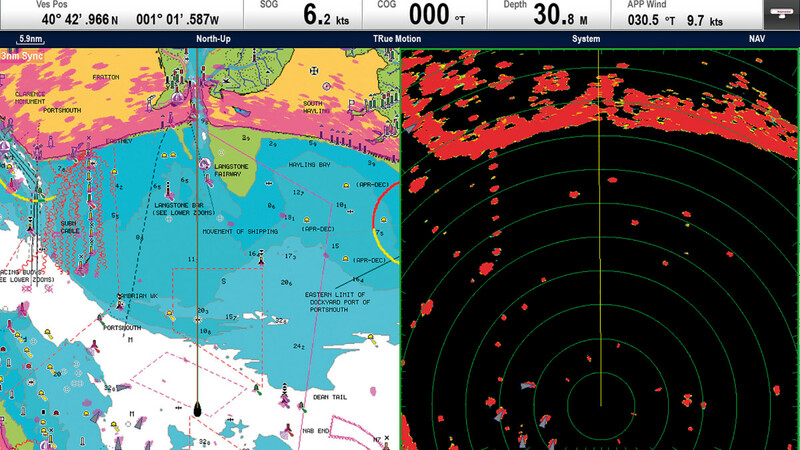 Raymarine MFD side by side of of radar overlay on a chart and the radar display. Radar (Radio Detection And Ranging) is a valuable and affordable collision avoidance tool, but it has several other functions that can be useful to cruisers. Radar, of course, can be used at night or even during the day in clear weather to quickly determine if an approaching vessel (a contact on the screen) has a zero bearing rate; a zero bearing rate means the contact has not changed bearing and you are on a collision course! The contact could be head to head, crossing or overtaking. 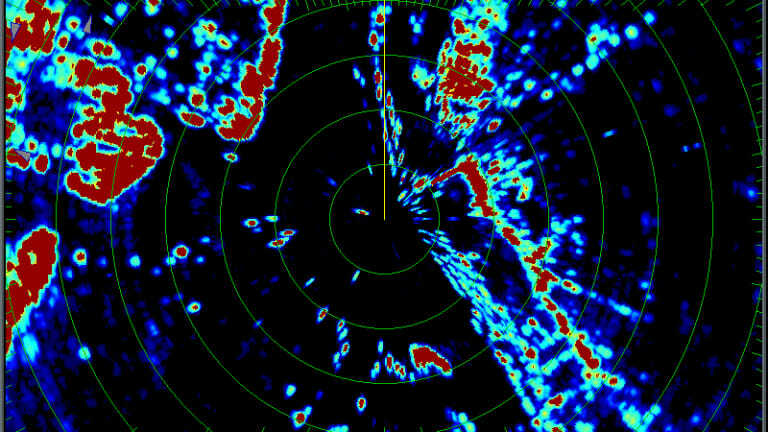 Using radar, you can determine—early in the encounter—if the approaching vessel is going to be a problem. This determination can usually be made within a few minutes of the contact&apos;s first appearance on the screen. There is no need to frantically maneuver your vessel—at the last minute—while an approaching boat gets closer and closer; something, I‘m sure, we‘ve all done. 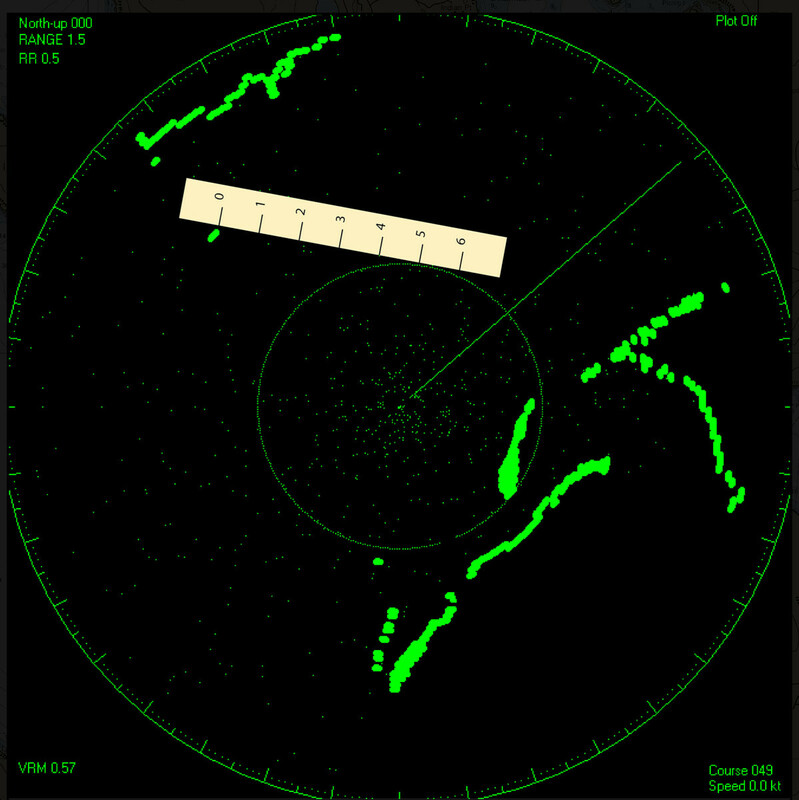 There is some urgency in making this determination, however, as radar is line-of-sight and will not paint (identify) a contact beyond the horizon, usually 5- to 10-miles away, depending on your radar antenna height and the size of the approaching vessel. There are two simple ways to determine if you are on a collision course with another vessel using radar. The first and easiest method is to use the Electronic Bearing Line; the second method is to calculate the other vessel’s Closest Point of Approach (more on that process later). In my view the EBL is the quickest and simplest way to make this important determination, but knowing the CPA, when multiple contacts appear on the screen, can be helpful or even critical. The EBL is generally a straight, dotted line that can be moved 360 degrees around the screen by the operator; most radar units have two EBLs that can be moved independently. The EBL shows the relative bearing of a contact. Determining the CPA using radar is fairly simple. Determining when the CPA will occur is a little more complicated and is probably not necessary unless you are dealing with multiple contacts and several course changes. To determine the CPA, mark the location of the contact on the screen using the radar&apos;s cursor as soon as it appears as a contact. If you have no marking cursor, use both the EBL and Variable Range Marker (VRM) together to mark the location of the contact. The VRM allows the operator to place a marker, generally a dotted ring, on a contact or land mass to very accurately measure the distance (range) between the object and your boat. You can also pretend you&apos;re in the navy and use a grease pencil directly on the screen; however, a grease pencil is messy and could damage the unit. Now you have a fixed location for the contact on the screen. Wait a few minutes while the contact has moved across the screen a short distance. Place one side of a straight edge (a shortened plastic ruler works well or even a playing card) on the original contact point and then place the same edge of the ruler or card in the center of the current location of the contact. Draw an imaginary, perpendicular line from the center of the screen, your current location, to the straight edge; where the two lines intersect is the Closest Point of Approach. 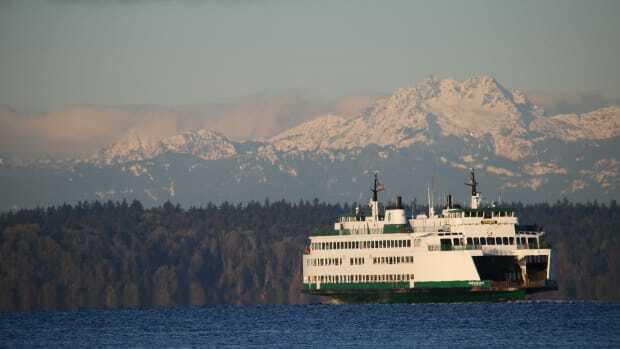 If both vessels remain on the same course and the CPA does not come close to your bearing line (say 1/4- to 1/2-mile away) it is likely that you are not on a collision course. If, however, the CPA lands close to your bearing line, a course change is necessary. 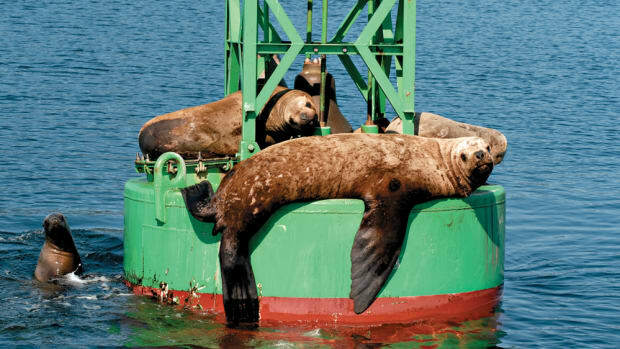 And don’t forget, it’s always possible that the contact vessel can change course—as commercial fishing vessels often do—after you have calculated the CPA. The three-minute rule is simple and easy to determine. Just add two zeros to the speed of a vessel. The resulting number is the distance that vessel will travel during the next three minutes, in yards.If your speed is 7 knots, adding two zeros means that you will travel 700 yards (about 1/3 of a nautical mile) during the next 3 minutes or a full nautical mile (2000 yards) in nine minutes. Understanding the three-minute rule is important if you find it necessary to calculate when the CPA will occur, and, of course, to determine how far a vessel will travel in a given period of time. More than 20 years ago we were anchoredoff Santa Cruz Island during a winter storm; Santa Cruz is one of the islands in the Channel Islands Archipelago off California. The wind was steady at 25 knots, the rain was heavy, and it was a very, very black night. We had owned Gracias, our first cruising vessel, for a short time, and I had no experience with her under these conditions. My fear was that we would drag anchor and I wouldn’t be able to tell because there were absolutely no land marks within the cove that we could see and no lights. The depth finder was helpful, but it was a big anchorage and we could be dragging anchor for a long distance before the depth changed. I should add that at the time I didn&apos;t have a lot of faith in anchor alarms, and I still don&apos;t.
Judy suggested that I turn on the recently-installed radar, this was my first boat equipped with radar. We were the only boat in the anchorage so I knew we weren’t going to hit anyone. Why bother with radar? And then she reminded me of the Variable Range Marker (VRM) function of the unit, the expanding and contracting dotted-line circle that shows range. She had studied the section of the owner’s manual that explains VRM; I had glanced at it. After turning on the radar, the VRM showed that we were .150 nautical miles down-wind from one of the points that formed the cove in which we were anchored. As long as that number didn’t increase significantly, it may vary slightly due to the boat swinging on the hook, we knew we were firmly anchored. It was a long night as the screen needs to be monitored almost constantly, but radar helped ease our concerns about dragging anchor. Since that incident I have used the VRM function a number of times to determine if we were dragging, almost always at night with little or no outside visibility. Radar also proved to be important when we were anchored in Puerto Don Juan, Baja, during Hurricane Nora. In this particular incident we were not dragging, but we were able to identify another vessel that was clearly headed for the rocks. 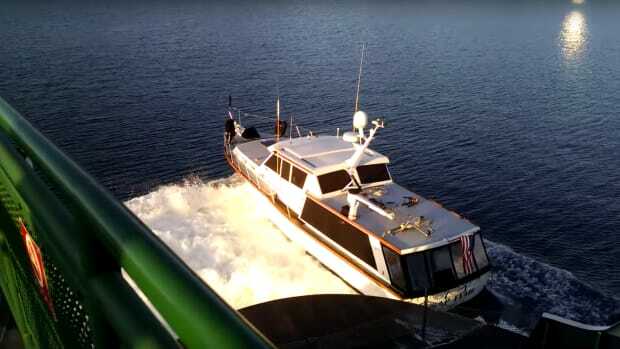 The skipper of this boat was notified by VHF radio and a disaster was averted. 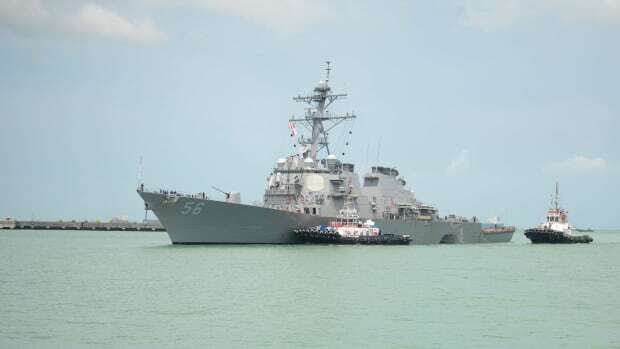 Interestingly, when first notified, he was absolutely certain that his anchors (two had been deployed) were holding; the changing VRM numbers, however, quickly convinced him that he had a problem. No one, I suppose, wants to hear bad news in the middle of a hurricane. I almost always turn on the radar—during daylight hours—when I enter an anchorage, even one with which I am familiar. And it doesn’t matter if I’m the only boat in the area or the anchorage appears to be crowded. Here‘s why: Viewed from a low steering station or even the bridge, it is difficult to determine the relative position of the anchored vessels with the unaided eye. And using binoculars generally makes the situation worse as depth of field is lost. From offshore, using only the naked eye, the anchored boats appear to be somewhat evenly dispersed throughout the anchorage with no visible openings. 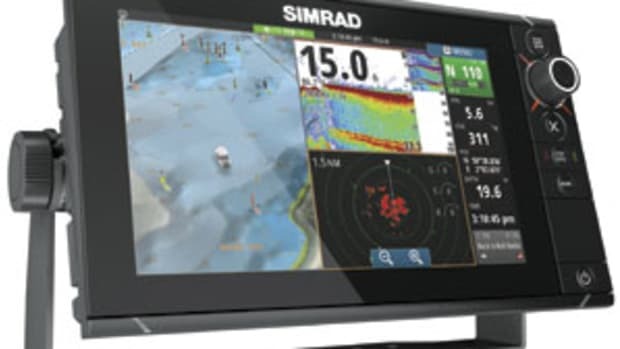 Using radar, it&apos;s very easy to quickly spot an opening among the boats and to position your vessel in a near-perfect location relative to the other anchored boats. We are using relative position not relative motion, so there’s nothing to calculate, just look at the screen, find an opening and drop the anchor. Using radar is much easier than spending 30 to 45 minutes steaming through a crowded anchorage looking for a hard-to-find opening. Viewing the area on radar also allows me to easily determine the most protected area within the anchorage. A deep indentation, which might offer greater protection from a swell, could go unnoticed to the naked eye, but on radar it becomes quite obvious and almost impossible to miss. Radar has come a long way since its development during World War II, and we’re seeing some amazing new changes in technology with digital units, better target definition, color displays, and flat screens. Radar, of course, is an incredible collision avoidance tool, but it does a lot more than just displaying the location of a nearby boat. Commander Sparks advised me that he would not travel aboard a boat at night without radar, and that, I believe, is pretty good advice. Commander Sparks’ book on radar (Radar Made Simple for Cruisers) contains all the information a cruiser needs on this important subject. I have poor math skills, so he lost me on a few calculations, but the important essentials are clear and easily understood. He defines relative motion, debunks myths, explains radar controls and functions, introduces cross multiplication, shows how to determine when the CPA will occur, explains navigating with radar, and shows how useful the three-minute rule can be. He clearly explains how important radar is to cruisers, and more importantly, he removes the confusion about radar, a fairly complicated tool. In addition to radar, Terry is an expert in marine communications. 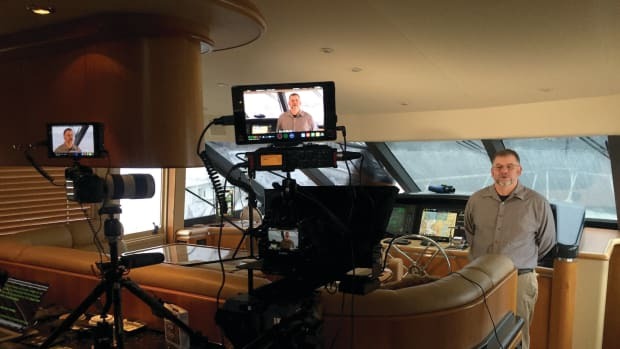 He has written one book on communications(Communications Made Simple for Cruisers) that covers the entire subject from VHF to satellite phones, and two additional books on the complicated subject of High Frequency Radio. Terry has the experience and knowledge to simplify confusing marine electronics, and he does it well. He has expressed to me that he is primarily concerned for the safety of cruisers; the information in his books will make cruising safer and more fun for anyone who reads them.